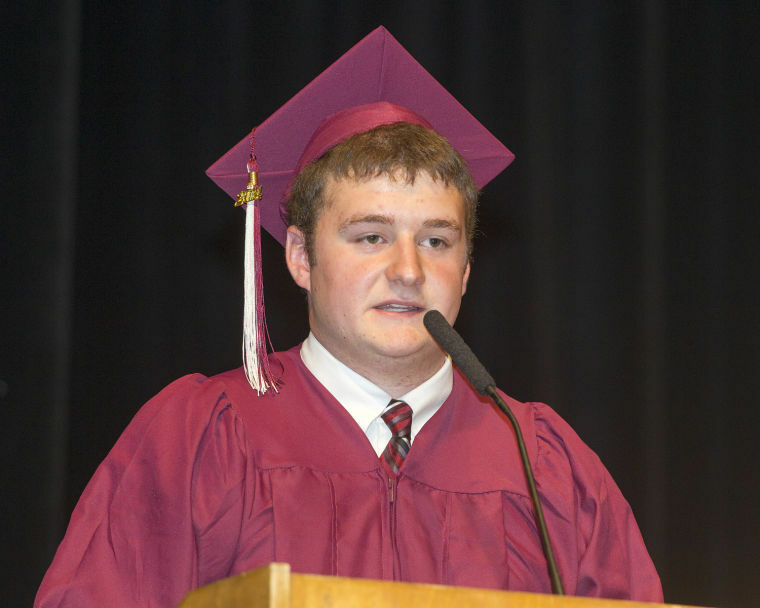 Adam Brobst delivered an entertaining Senior Address to his classmates, who rewarded him with a standing ovation when he finished. 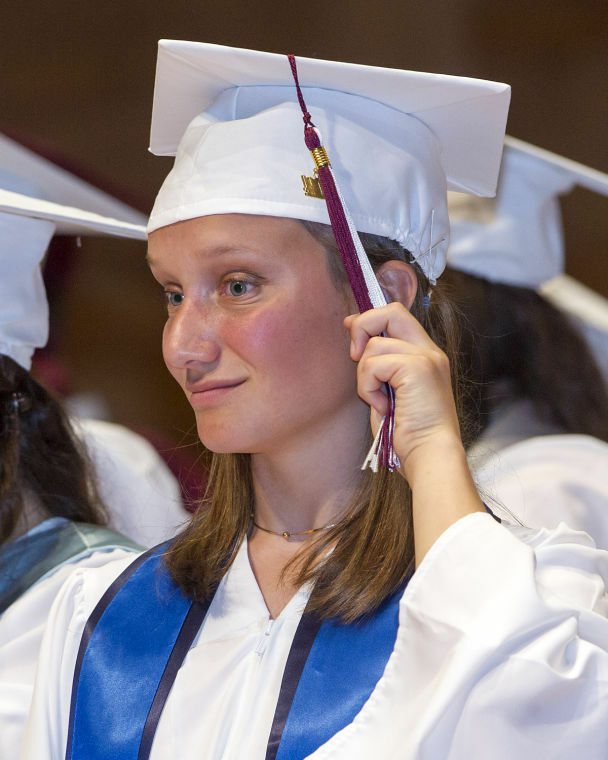 Emily Jennings and classmates pass the final milestone in the commencement ceremony, turning their tassels to the other side of their caps to signify their new status as high school graduates. 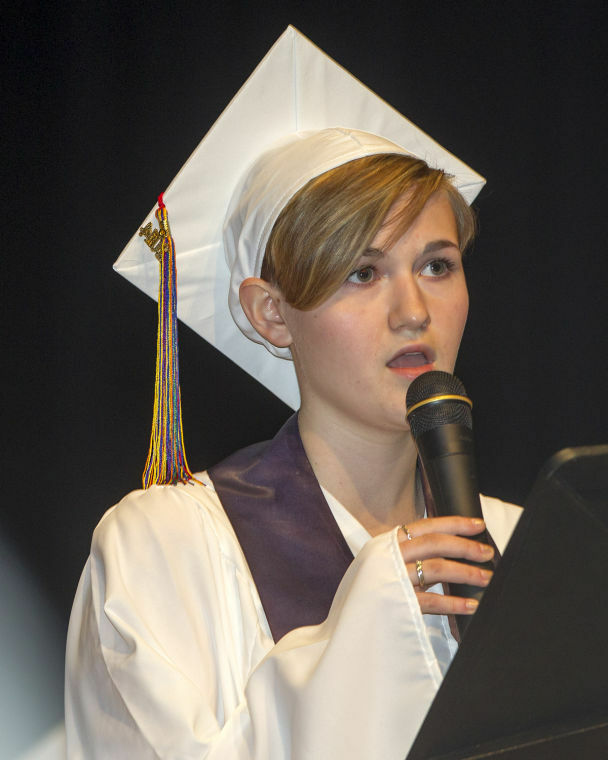 Freeport High School graduating senior Molly Brown sings “Welcome the Rain” during the Flower Ceremony, where every senior comes down from the stage to present a rose to special family or friends.